Leon’s staff along with Executive Director of Big Brothers Big Sisters Ron Graham announcing Leon’s Wing It For Kids Sake 2019 (Submitted photo). 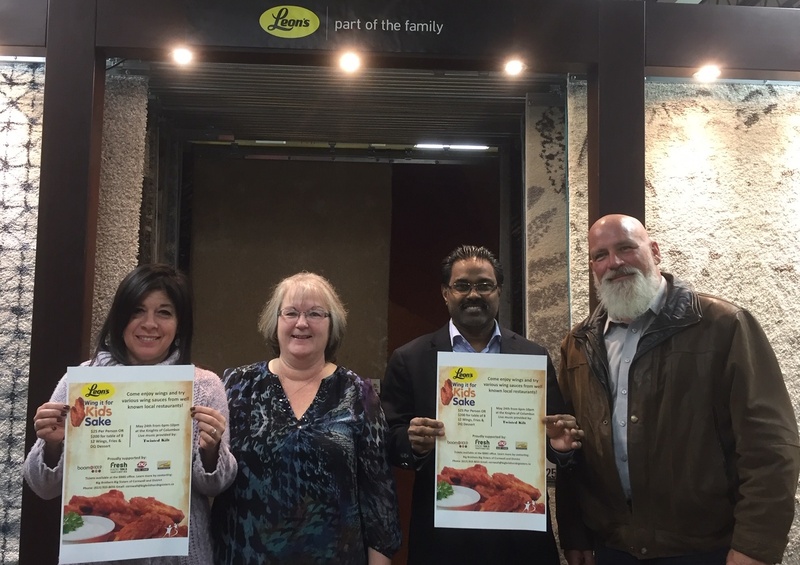 CORNWALL, Ontario – Leon’s is winging it for kids’ sake for the fifth annual Big Brothers Big Sisters of Cornwall and District fundraiser, hoping it will be another saucy success. “We’re pleased to have such a wonderful community partner as Leon’s Furniture supporting one of our signature events,” said Ron Graham, local Big Brothers Big Sisters Executive Director, in a press release. The evening of wings and live music is scheduled to take place at the Knights of Columbus on Friday, May 24. No less than nine local restaurants will be participating, providing a signature wing sauce to be voted on by more than 300 attendees who are expected at the event. 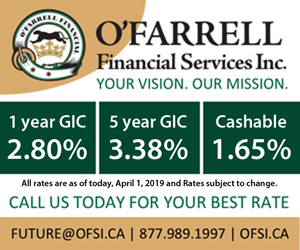 Participating restaurants include Smokin’ Bull, ESCA Gourmet Pizza & Bar, Jet Set Pub, Maggie’s Bar–B-Q, O’Neill’s Pub, Sheep’s Head Bistro, Shoeless Joe’s Sports Grill, Schnitzel’s European Flavours and Sticks Sports Bar & Grill. Live music will also be provided by Twisted Kilt throughout the evening. For a ticket of $25, each guest will receive a dozen wings, an order of french fries and a DQ dessert. Tickets can be purchased as individuals or tables of eight by contacting Big Brothers Big Sisters at 613-933-8035 or emailing cornwall@bigbrothersbigsisters.ca.